Finding a cockroach in your sink, bathtub, or shower drain can be a nasty surprise, particularly if you find it late at night. It often leaves you with a lot of questions. Did the cockroach come from the sink? Are more going to follow? Are the pests accessing my home through the drains? While the answers to these questions vary somewhat from case to case, generally speaking, cockroaches that you find around drains did NOT actually come from the drain. Instead, it is simply serving as an opportunistic hiding spot for these troublesome pests. But where are the cockroaches coming from? And how do I get them OUT? Cockroaches tend to gather in areas that are dark and high in moisture. They are reclusive pests, so they prefer to move about when they can remain undetected. This means that they are usually only active at night when they can creep silently throughout the house. Often, this can make it difficult for homeowners to realize how severe a cockroach infestation is before it gets out of hand. It is important to note that, while cockroaches spread filth and disease to homes that they infest, this is not what attracts them initially. 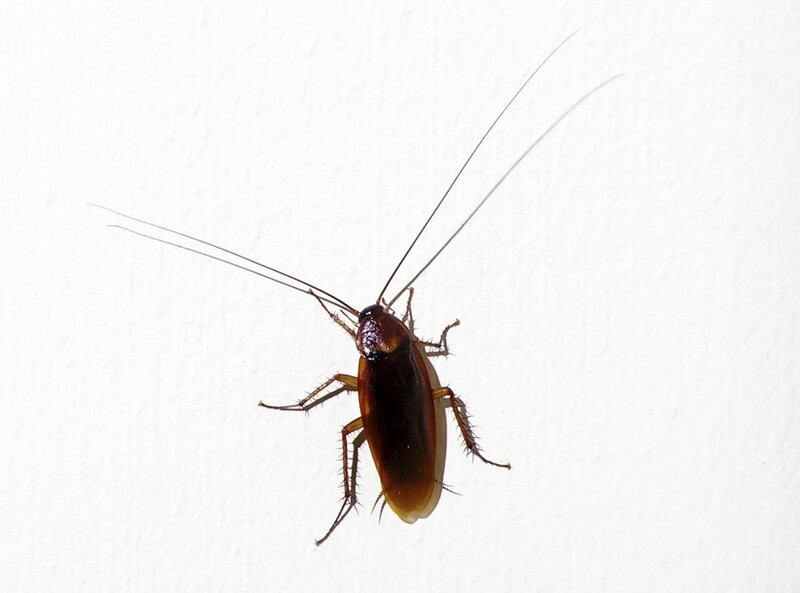 Clean and new homes can be susceptible to cockroach infestation even if every effort is made to keep the home clean. That said, cockroaches are attracted to moisture and food sources in and around homes, so efforts to keep clean will help to reduce your likelihood of dealing with an infestation. Cockroaches are most commonly found in basements and crawlspaces, as these areas are often high in moisture and secluded from light and human contact. However, since they often scavenge throughout the home at night, it is not uncommon for these pests to find their way into kitchens, pantries, and bathrooms. All of these areas are ideal environments for the cockroach, which thrives with the abundance of food sources found in trash, pantries, and from spilled food. However, if the pests stay in these areas throughout the night, they might be caught off guard by the return of daylight or a person turning on a light. This will cause them to scatter and seek a hiding place, and the drain is often the closest hiding spot. While knowing that these pests probably aren’t coming from the drains may be reassuring, you still don’t want them in your home. Cockroaches are a hardy pest, and eradicating them from your home can be a tough job. Typically, removal often requires a combination of mitigating conducive conditions that make your home favorable for the cockroaches while simultaneously treating the home with a repellant or bait. You will want to start by dealing with any spilled or unsealed food that might be attracting pests. Even the smallest crumbs can provide a meal that keeps cockroaches alive for some time. Another common issue is food scraps leftover on dishes, which can attract pests if not regularly washed and put away. Another key area to tackle is moisture. Any leaks or spills should be dealt with as soon as possible, and any leaky drains or faucets should also be repaired. If your home has water damage, you should repair it quickly and monitor the area for signs of pest activity. If you are concerned about cockroach or other pest activity in your home, you should consider calling in a licensed pest control professional to inspect and treat your home for pests. A trained technician can help you to identify problem areas and signs of pest activity that may be hard to spot. Further, they can construct a comprehensive treatment plan to eradicate pests and protect your home against future infestation. If you are a homeowner in the Cherokee County area in need of pest solutions, Canton Termite and Pest Control is your ideal choice! We have decades of experience dealing with insect and wildlife pests of all kinds. Our team of highly trained technicians can employ industry-leading treatment methodologies that safely target and remove pests from your home! So don’t let pests overrun your home, call us TODAY at 770-479-1598!